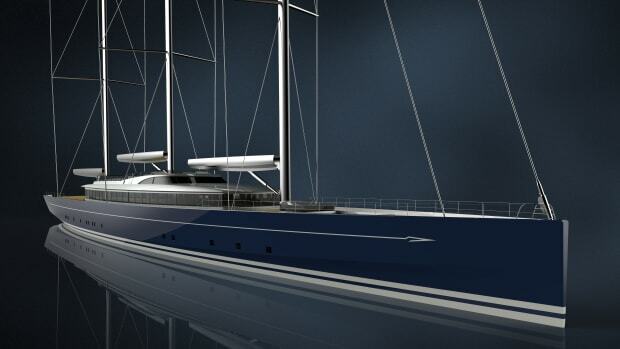 Baltic Yachts has announced the launch of the world's largest carbon composite sloop. 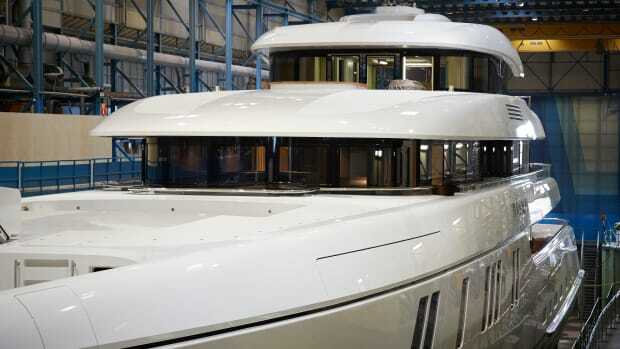 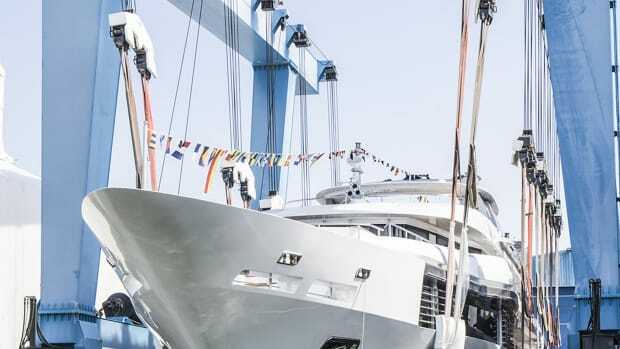 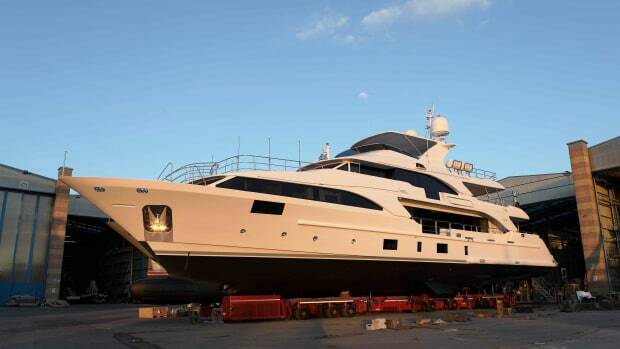 175-foot Pink Gin VI has been launched at the shipyard&apos;s waterfront facility in Jakobstad. 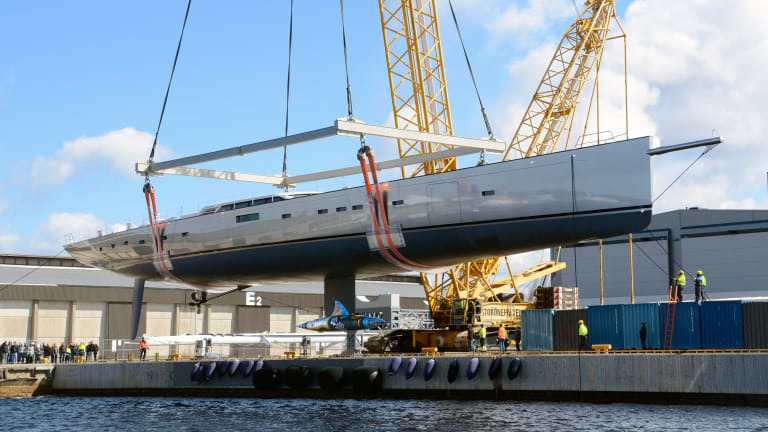 The all-carbon, 245-ton, silver-hulled sloop will now undergo preparation for the stepping of her five-spreader, carbon fiber Rondal mast. 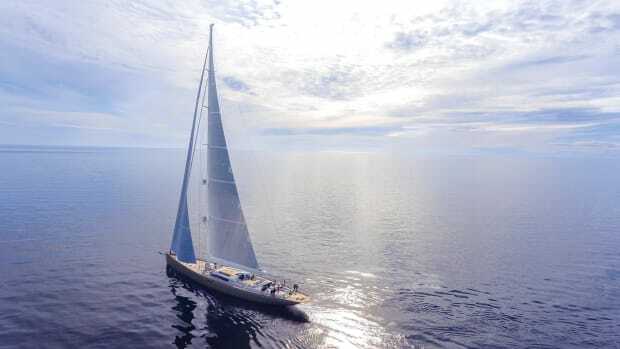 Sea trials off Jakobstad will soon follow and Pink Gin VI will be delivered to her owner this summer. 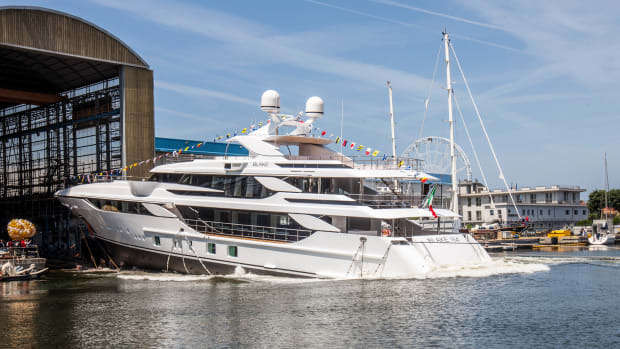 Naval architecture for Pink Gin VI is by judel/vrolijk & co, and interior design and styling are by Design Unlimited. 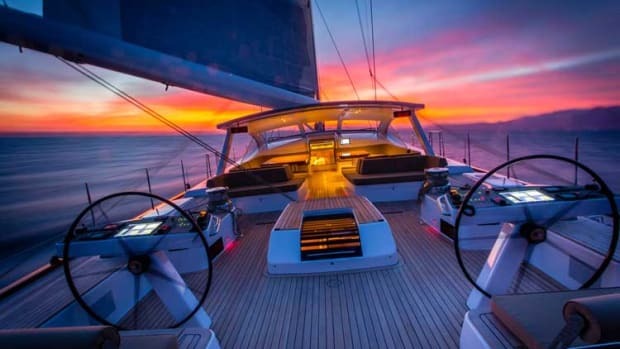 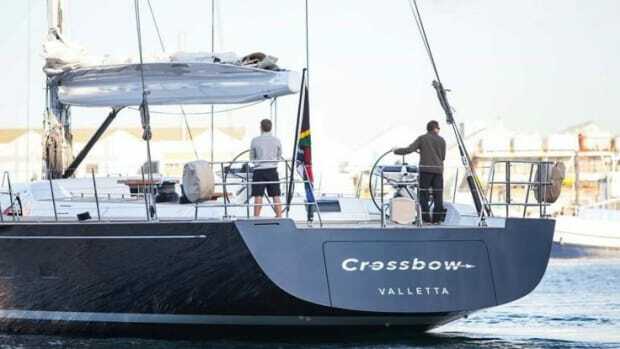 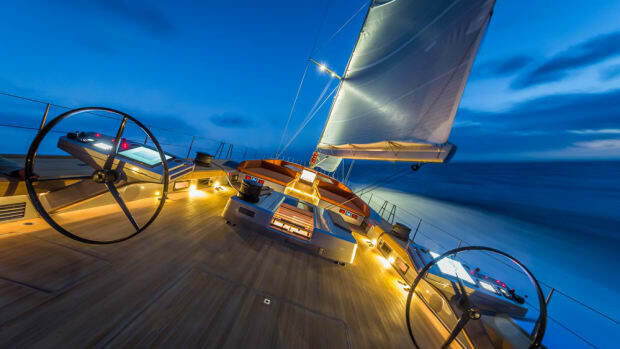 Standout features include two balconies which fold out from her topsides, remarkable accommodation design and her powerful sloop rig which towers 223-feet (68-meters) above the deck.